The project is an adaptation of the classic folk tale of Hansel and Gretel into an immersive, multi-layered performance installation that examines entrapment cycles of escapism and consumption in modern consumer society. Here, instead of recounting the original story in a linear fashion, its essence is distilled into a spatial mechanism, or diagram, to be experienced by an ambulatory audience through movement in time. The end result was a multi-sensory immersive narrtaive space which integrated installation, sound, live choreography, video projections and lighting. The project was developed in several stages. "The Hunger" explores the idea of fairy tales as an expression of the psychic processes of the collective unconscious (Jung, 1968), their ancient roots and transformative healing power. The piece strives to translate the famous moment of deception and disillusionment in Hansel and Gretel into a non-linear spatial and temporal experience, while using popular consumer culture iconography to mirror the empty yet addictive trap of consumerism and its advertising mechanism. Not only is this treacherous mechanism a distillation of the story’s narrative structure, but it also mirrors the self-perpetuating cycle of escapism through consumption in modern Western society. With the ‘falling away of the mask’, the children discover that things are not what they seem and a reversal occurs, with the house they were feeding off beginning to devour them back. This feeling of entrapment is one characteristic of the addictive consumer mechanism of advertising, where seductive surfaces are stripped away to reveal a void beneath, predicated on a lack or an absence, leaving us constantly hungry while trying in vain to fulfill our insatiable desires. Installation, sound, video and performance combine to create a surreal, immersive experience providing the audience with a break from the rational monotony of everyday life while inspiring child-like wonder. Both performers and audience members submerge themselves within a forest-like installation via free movement. They interact with it directly through listening to localized sounds (from hidden mini speakers) and consuming baked goods. By doing so, they themselves become part of a world where everything is transformed into a packagable consumer item. An "edible landscape" made of vacuum-sealed iconic Wonderbread: the paradox of engulfment in bread stripped off its nutritional value and sealed within plastic lends its name to the project. Conceptual models of "edible landscape"
Kaleidoscopic video projections, sound, choreography and costume play with repetition, immersing the audience in a dream-like yet uncanny environment. The space is filled with video projections derived from mass culture and advertising imagery: brand name logos, fashion models on runways, package holidays, luxury real estate ads, etc. Performers wearing identical bird masks reference the birds in the original story, who played the role of both spiritual guides and tricksters, guiding people through the space, but also causing them to feel disoriented and lost. The final version of the project combines previous ideas of edible landscape, kaleidoscopic projections and repetition, while working further with the ‘house’ archetype. A labyrinth made of walls / curtains of bread also serves as video projection screens featuring consumer imagery. Inside, the mobile audience finds embedded mini screens displaying video loops of pop culture and escapist fantasies, while discovering a rich soundscape of TV commercial snippets and empty advertising slogans, in localized mini speakers. Free movement within the installation is facilitated by masked bird characters who serve the audience gingerbread cookies, lead them around and encourage them to consume the sights and sounds. The installation design draws on the iconography of the “cookie-cutter” house or condo. There is a symmetry, or reciprosity, between various elements of the Hansel and Gretel story - between mother and witch, and also between the father’s house and the witch’ house (one may even suggest that they are actually one and the same house). The two houses, representing presence and absence, are reversals of each other - the witch’s house an idealized, grotesque version of the other. 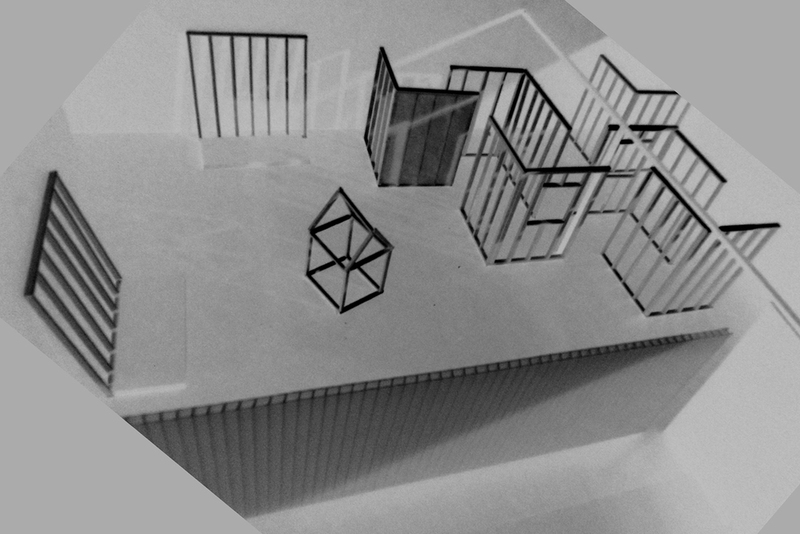 The result is a suspended miniature house framing structure (house as object, closed and inaccessible) juxtaposed with full-scale framed wall fragments arranged as a labyrinthine ‘edible landscape’ (house as space, can be entered). 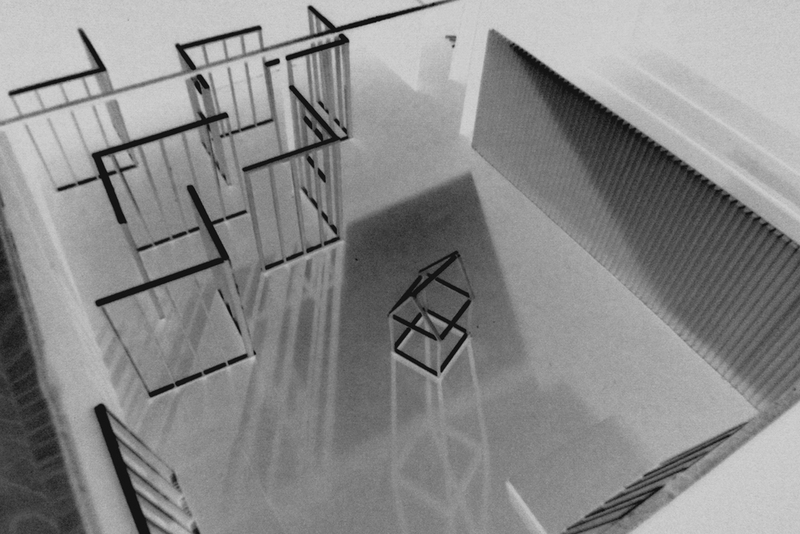 Complete spatial transformation of the installation traces and maps the house archetype and its various changing states in the original tale, as a reflection of inner psychological states. The narrative structure of the performance installation is a series of repeating 15-minute loops. Each loop is a gradual process of unmasking, where the entire space is transformed using all of the employed media, from light to dark, and back to light again. With the help of lighting shifts, the set turns from apparent solid to empty void as the bread curtains are pulled open by the birds. Gradually and unnoticeably, video content gets progressively more disturbing and sound becomes more and more intense as an ominous layer of sound comes to the foreground, making the other layers underneath inaudible. Actions also change as the bird characters serve cookies more and more aggressively. Effectively, the space slowly and almost imperceptibly transforms from house into carnivorous cage, from luring advertising billboard into uncomfortable trap. As lighting shifts transform seductive house into cage, the illusion is broken, revealing a dark core of hidden fears. But just as one starts to feel the Hunger, the cycle recommences. As in the original tale, the architecture of the house in its different states is used to spatialize psychic transformation, following archetypal fairy tale analysis. A simplified version of the project was adapted to a forest setting at a weekend festival of music and art. A "breadcrumb trail" of freestanding installation elements serving as beacons of light and localized sound drew the audience deeper into the woods through a sequence of movement, to discover video projections at the back.